The senator representing Niger East Senatorial District in the Senate, David Umaru, on Saturday said he will not leave the All Progressives Congress because of his relationship with President Muhammad Buhari dating back to 2007. Umaru who was sacked as the APC senatorial candidate for the February 16 general elections on Thursday by a High Court in Abuja said despite the crisis in the party before and after the primaries, he remained a foundation member of the party in Niger. 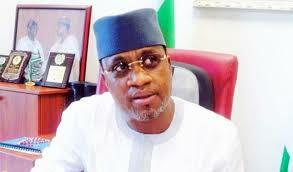 An Abuja High Court presided by Justice Giwa Ogunbanjo, nullified Umaru’s candidature and gave victory to Sani Musa. Umaru who spoke to journalists in Minna, the state capital, while reacting to the ruling, said apart from his relationship with Buhari, many other factors were considered, especially the interest of his constituents.